Remarks at the National Executive Committee Meeting, Palm Beach, Florida, February 6, 2009. View the speech Jew Under Attack on ADL TV. 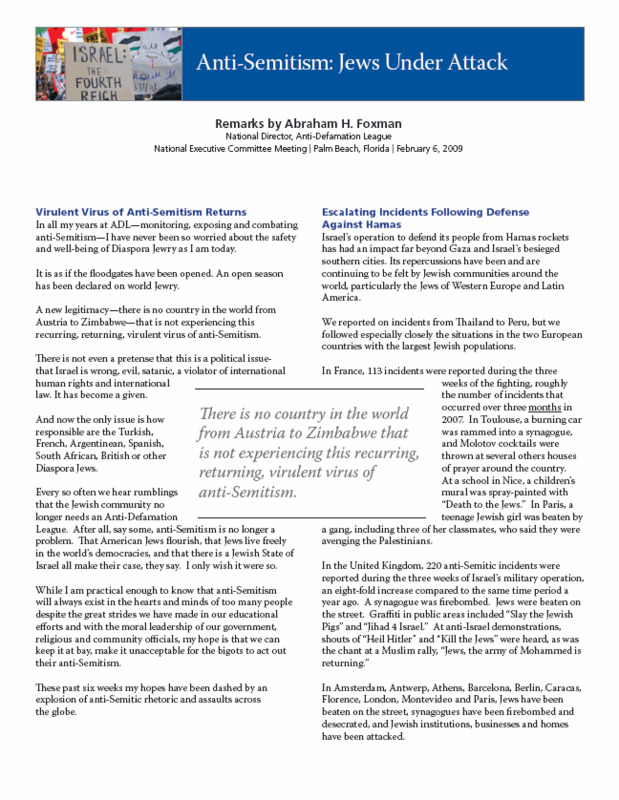 Click here to read Anti-Semitism: Jews Under Attack - Palm Beach, Florida. Click here to read Anti-Semitism: Jews Under Attack - London, UK.